. Its minimal, yet eye-catching design can perfectly match any outfits. 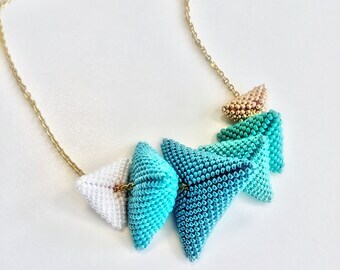 It could make a simple t-shirt and a pair of jeans look very interesting! It can also add glamour to a minimal archaic dress. 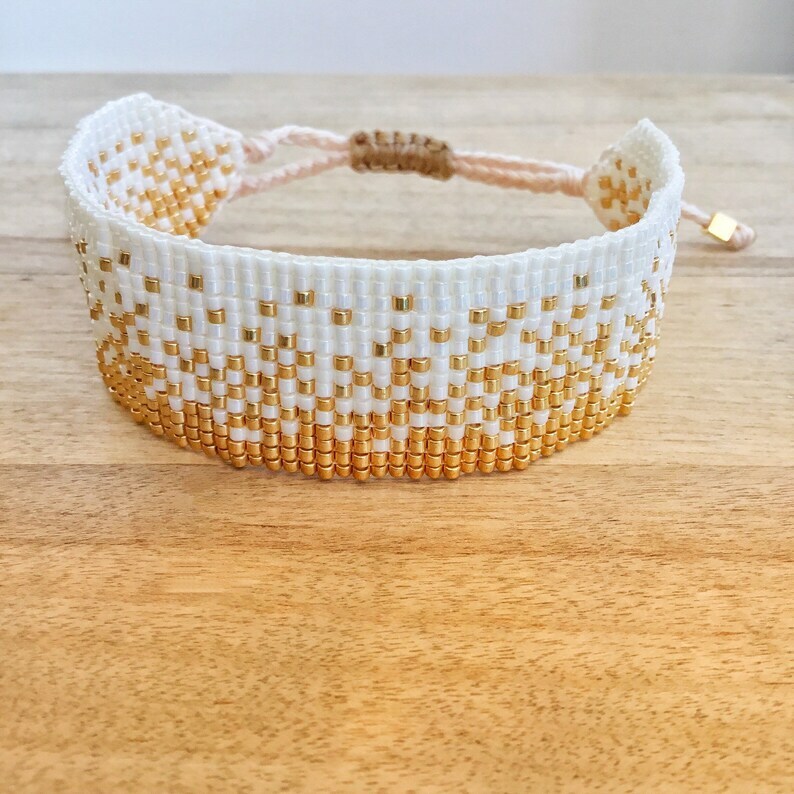 It has been crafted by me with love, care and inspiration, using premium quality Japanese glass seed beads in yellow shimmering gold and glossy white hues and a highly durable thread for weaving. The bracelet is approximately 2.0 cm (0.8 inch) wide and 16.0 cm (6.3 inch) long (the beaded part). Its pull-string closure makes it adjustable to various wrist sizes. It is very lightweight and comfortable, you can hardly feel it on. This chic bracelet can also accompany any bride that will select a glamorous, eye catching piece of jewelry in her hand! 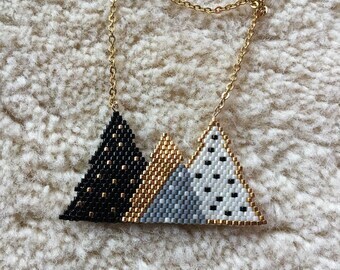 If you prefer a different color combo, please let me know and I will try my best to accommodate your request!